Introduction: St. Paul, who was known as “Saul” before his encounter with Christ, was a good man and a devout Jew who was quite conscientious about keeping the Law of God. He desired to serve God, but was too focused on what he wanted to do for God, rather than on what God was doing. Saul’s zeal was so misguided that he sought to persecute the Christians, whom he felt were destroying the Jewish religion. On his way to Damascus, instead of accomplishing this task, he encountered Jesus the Savior, who revealed to Paul the depth of God’s mercy and love. Paul’s foundational experience of Christ’s saving and merciful love for him and for the people to whom he would send Paul shaped Paul’s entire life and mission. It was an experience of love, light, and beauty to which Paul returned to over and over again. For this lectio divina, we’ll pray with one of the Scriptural accounts of Paul’s encounter with Christ from Acts, followed by a short description of the experience from a letter of Paul. 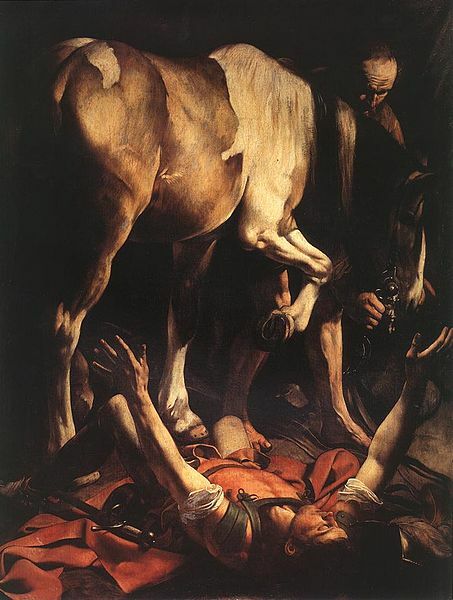 The Acts of the Apostles gives three different accounts of the conversion of Saint Paul because of its importance in the early Church (see Acts 9:1-19, Acts 22:3-16, and 26:2-18). In his letters, Paul often refers to his encounter with Christ, although often indirectly (see 1 Cor. 15:8, Gal. 1:11-16, 2 Cor. 4:6). Initially, Paul had found fulfillment in living the Law to the point of perfection. But his encounter with Jesus changes all that. The brilliance of Jesus’ love and truth blinds Paul initially. He thought he had been able to see, but his temporary blindness enables him to see himself and his relationship with God and others in a whole new way. Paul must have felt great distress for being so wrong, for recognizing that he was persecuting the followers of Jesus, whom he now recognizes as the Messiah, the Son of God, his Light. Praying with Paul’s dramatic encounter with Jesus, we can see that God may communicate to us in many ways: through an interior whisper or an insight, through others such as Ananias, or through an unexpected event that shakes us up. Jesus’ gaze of mercy on Paul transformed his life forever. But this profound transformation in Paul is not easy, nor is it over in three days. Paul’s growth in Christ and carrying out the call of Christ was lifelong. How do we experience Christ’s invitations in our lives? When we are confronted with interruptions, unexpected changes, or times of transition, it can be difficult to see God’s light or invitation. But suppose we “refocused” our gaze from the distress of the unexpected experience to seeing it as an invitation from God, as Paul did? What insights would we receive if we did this? Discovering that we need to convert, change, or grow is an inherent part of receiving God’s call. How do I want to respond to God’s invitation? What are our earliest memories of our relationship with God? How have our encounters with Christ “marked” our lives, transformed us? How have I experienced Christ’s mercy, and how have I responded? 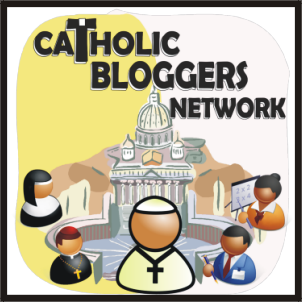 How would we characterize our relationship with Christ? How do we feel Jesus is inviting us to grow in our relationship with him? My favorite prayer posture is to sit or kneel on the floor near the tabernacle. As I was praying, I suddenly realized that this receptive and adoring posture–sitting at the feet of the Master–characterizes my relationship with Christ. At the feet of the Master, I am receptive to his call and his sending me; I listen, adore, love, receive his love, learn his way of gentleness, plead with him, receive forgiveness. I am blessed to be at his feet. Sometimes when I’m coming to the end of my prayer time, I will joyfully remind Jesus, “I’m not going anywhere” — meaning that I will stay at his feet always. It’s a little renewal of my fidelity to the All-Faithful One. Renew your relationship with Jesus in your own words. Be mindful of Jesus’ merciful love for you throughout your day today, choosing at least three times throughout the day where you will stop and thank Jesus for the gift of his love for you.